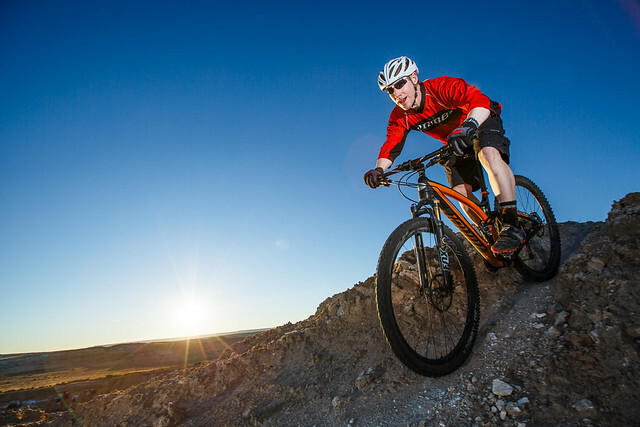 A totally different experience can be gained by biking fanatics when visiting one of St George, Utah’s biking trail – the Gooseberry Mesa. This place offers a highly challenging yet enjoying ride for bike enthusiasts whole year through but a pretty nice visit from mid-February until November. Gooseberry Mesa is a miles away trails which runs through slickrock situated above the towns of Hurricane and Springdale. Additionally, you can likewise take a good view of the surrounding valleys and Zion National Park from atop. Spending four hours of biking over rocky trails completes a day stay at the place while passing scrubby trees down through a single track path. So as not to stray, we are being guided to the right direction through markings of white dots which is also similar to other rock trails. There are various camping sites near Gooseberry area allowing bikers to spend a couple of days biking. Camping on the nearby sites will allow you to enjoy staying or getting up late as well as you get full time enjoyment on biking without hours of driving back at Hurricane or Springdale. •	Little Creek Mountain – Experience numerous single track directing to network of rocks passing through a high desert terrain. This trail is quiet similar to Gooseberry. 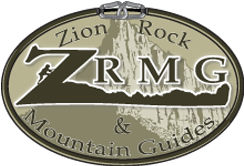 •	JEM Trails – Take a fast and flowing 2-track climb on this trail which is located near Zion national Park and Hurricane, just west of Virgin, Utah. •	Barrel Roll – Take an amazing view around while rolling on a single track of this exciting trail situated near Santa Clara. •	Bear Claw Poppy – Either end, this trail is excellent for biking. Starting from the top is what he directions on the link may provide but riding from the opposite end is possible when you find Navajo Drive adjacent to Tonaquint Drive i St George. This route will make your biking experience greatly engaging. •	The Red Bull Rampage is one of the most popular videos from which it was taken in the views between Hurricane and Virgin near Gooseberry Mesa. If you wanted to witness this exciting rampage, do visit the place on October 4-6. •	Springdale is a better option if you prefer camping rather than biking. Tough described by some as not much adequate, the Bumbleberry Inn is quiet a good choice. You can also go for some alternatives like camping in Zion National Park or take a bit costly yet nice lodging option at the Desert Pearl. Apparently, while Hurricane can offer you with several typical chain hotels where you can spend a few days exploring the trails, this only provide a few dining options. If your option is to have some cold beer or wine drinks to go with your salsa and chips for the night, driving into St. George will do. But of course, you cannot take much than what is recommended by the Wasatch Brewing Company’s Polygamy Porter that only goes for 3.2 beer on grocery stores. For those who love Mexican foods, Lupita in Hurricane is a good choice. The Bit and Spur is a famous alternative for Mexican specialties that will serve you with the best Zuni stew and sweet potato tamales. Oscar’s Cafe is additionally a good option in Springdale that offers a complete meal for breakfast, lunch or dinner. Unluckily, in-and-out burger is the best treat if you are from anywhere east of Utah. If you are stuck in the middle of the trail, nothing to worry about because Over the Edge at Hurricane is there to respond your fixing needs immediately. Biking rentals and everything about your biking needs is also available at the Red Rock Bicycle, likewise at St. George. Though not a very popular mountain biking venue nowadays, but Saint George will offer you the best of its trails for an excellent biking experience. Explore this little town and witness how it changed your biking perception!